Avg. Group Discount of 4.8%! 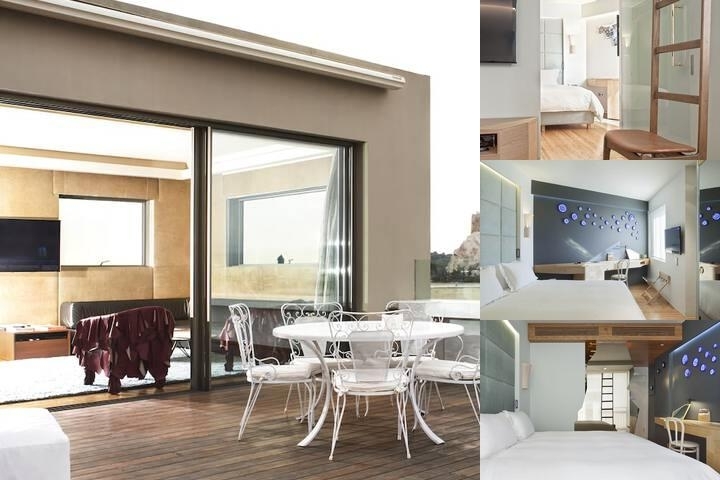 New Hotel is located within minutes walking distance from Plaka (Athens Old Town), the Acropolis, the New Acropolis Museum, the Monastiraki Flea Market, the Ancient Agora, the Panathenian Stadium (venue of the 1st Olympic Games), the Temple of Olympian Zeus and many other points of interest. Offering an entirely NEW approach to young interior design, energetic hospitality, and seductive customer-centered services, NEW Hotel is the first ever hotel project of award winning designer duo, Fernando and Humberto Campana. YES! Hotels owner and international arts patron Dakis Joannou commissioned the Brazilian brothers for their eco-sensitive ethos and the use of contemporary handicraft practices and local idioms. Drawn to their specific language, which in turn draws from urban street life, contemporary art and the São Paulo favela culture, Joannou gave them absolute freedom to dream. The result is an intriguing 79-room establishment, where every public space and every floor has been creatively re-NEW-ed to include remnants of the former Olympic Palace Hotel. The interiors are simply outstanding, the unusual custom-made furniture and handmade fixtures making guests feel that they live and breathe in a major art installation.New Hotel is located on Filellinon Str. 16, 200 meters from Constitution Square and within walking distance from the city's main attractions. Both leisure and business travelers will enjoy this enviable NEW hotel, right at the centre of Athens. Included in the room rate. Mediterranean buffet breakfast. Below are the meeting, banquet, conference and event spaces at New Hotel. Feel free to use the New Hotel meeting space capacities chart below to help in your event planning. Hotel Planner specializes in Athens event planning for sleeping rooms and meeting space for corporate events, weddings, parties, conventions, negotiated rates and trade shows. Meeting in a uniquely designed environment will certainly make an impression on business partners, colleagues, and friends alike. The NEW meeting rooms are located on the mezzanine floor, also known as the “Workshop Floor”, a tribute to the creative collaboration of the Workshop team with the Campana brothers. They all feature state-of-the-art audiovisual equipment with WIFI and broadband internet. 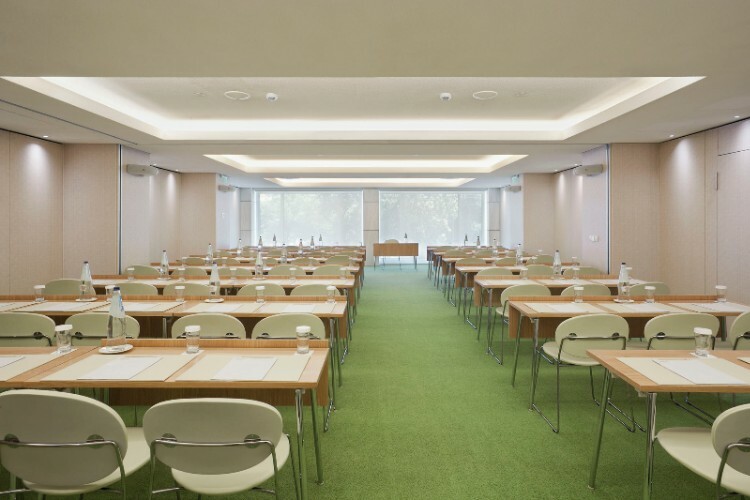 Bathed in natural day light, the meeting rooms evoke a bright ambience, accentuated with signature design furniture. A foyer area and restrooms complete the luxurious service.With their facilities, their Campana-esque design, and the variety of spaces that they offer, meeting rooms offer an ideal venue to suit guests’ needs, from business meetings and teleconferences, to cocktails and gala dinners. 8 x 4 x 3 M.
6 x 4 x 3 M.
13 x 14 x 3 M.
7 x 3 x 2 M.
8 x 7 x 2 M.
12 x 14 x 2 M.
13 x 7 x 2 M.
5 x 7 x 2 M.